Is there a way I can improve the overall air quality inside my property? You know you have mold when you smell the "musty" odor or see small black, white, green, or other colored specks on walls, below sinks, behind toilets, on carpets, on ceilings, or any other place. Some mold is hidden growing behind wall coverings or ceiling tiles. Even dry, dead mold can cause health problems, so always take precautions when you suspect mold. The only way to tell if there is a mold problem without the presence of visible mold, a musty odor or adverse health symptoms by a member of the household is to have the air and/or surfaces tested by a mold testing professional testing. 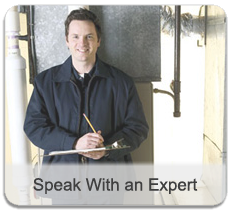 Our certified inspectors can perform a visual and equipment inspection of your property and, along with testing performed, produce a complex findings report that will determine if you have a problem or not. Yes. There a variety of ways that you can improve the indoor air quality at the property where you live, work, or otherwise reside. One of the easiest ways to do this in properties with central air for heating and air-conditioning is to begin using HEPA filters on their air intake vents, whether they pull air in from the outside or circulate it internally. These special filters can be purchased through accredited organizations, such as Nation Laboratories. Another option is using a portable or installed air filtration system. These air filtration system or air purifiers are useful in helping contain airborne contaminants, such as dust, mold, allergens, and other particulates.